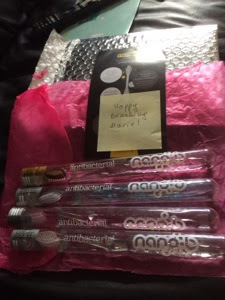 I was recently sent 4 antibacterial Nano B toothbrushes for me to review.. They are made with gold and silver Bristles, I have 3 silver ones and a gold one. This is what they do for your teeth. The Gold and Silver Bristles are made with 99.9% Gold and Silver Bamboo Charcoal impregnated bristles to inhabit bacteria growth. Long inter dental ultra-slim bristles clean deeper in between teeth and gums. Reduce gum inflammation and bleeding, suitable for sensitive gums. All are supposed to remove any plaque you got off your teeth. I suffer with plaque on my teeth so these’s toothbrushes will certainly help me and any other person who suffers with it. 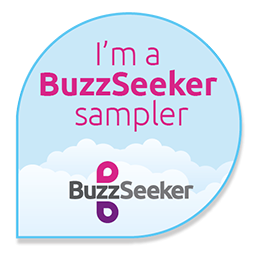 I think theses toothbrush are excellent, i use one too brush my teeth everyday and you can certainly see the difference. my plaque what i had on my teeth is gone now, i am very pleased with theses toothbrushes and certainly will be getting more once i have finished theses four. One Nano Toothbrush is Â£7.99 with free delivery. A twin pack is only Â£11.99 with free delivery, i think that is a great deal. Or if you would like the Nano B pack of 10 (best value) thats only Â£50.00 and comes with free delivery too. Disclaimer: I was sent 4 Antibacterial toothbrushes for me to review all thoughts and opinions are my own.